Over the past several decades, the creation and popularization of the craft brewery has helped transform Hill Country culture. These days, you can head straight to the source of some of your favorite brews and sip some hoppy goodness with the folks who helped create it. There are over 20 breweries in the Austin city limits alone, including notable ones like Austin Beerworks, (512) Brewing Company, and Oskar Blues Brewery. However, outside of major city limits, there are also several incredibly well-known breweries carved out for you and your friends to enjoy a weekend beer. 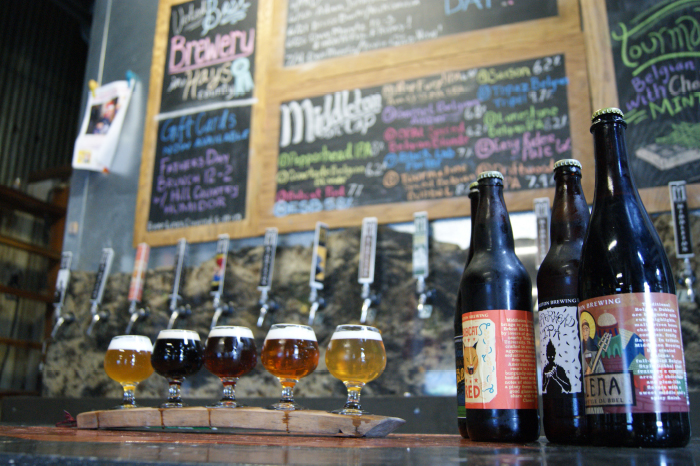 Here is a list of five of the best Hill Country breweries that you need to try. Jester King Brewery might have an Austin address, but it’s so far out of the city that it has that quaint and peaceful Dripping Springs feel to it. Known for being an authentic farmhouse brewery, Jester King has the botanical taste of mixed culture and spontaneous fermentation. The beers incorporate their tastes based on the soil and water around the brewery, so everything you taste is influenced by the ground upon which you are standing. Pulling into Jester King is not like spending a day on any old farm: there are several picnic tables around the property to enjoy a conversation over, a huge farmhouse for special events (think weddings and such), and a brick oven pizza place - all right on the property! Plan on spending the day out here and have lunch or dinner while you’re at it. Also, this place is kid friendly - so bring the whole family along to Jester King! If you’re not insanely into the craft beer world, but want to venture beyond the typical Miller, Coors, and Budweiser, you’ve probably had a beer from Real Ale Brewing Company. The gold standard for go-to beers (Fireman’s 4) is brewed in-house at Real Ale...and you probably didn’t even know it. Why is that the case? This brewery is out in Blanco and keeps quietly working while its beers speak for themselves by becoming regional successes. Real Ale offers free tours of the brewery on Fridays and Saturdays at 1:00 pm and 3:00 pm where they will explain their process and the ingredients, as well as let you taste the beer at the end of the tour. Since 1996, Real Ale has grown from being brewed in the basement of an antique store to now employing over 55 people to instill the belief that minimal processing produces maximum flavor. They have a new tasting room that is perfect for a post-lunch drink this weekend! Middleton Brewing has a motto: “Where beer is brewed, no evil can exist.” Middleton is surely stepping up to the plate by holding onto some of the Texas Hill Country’s cultural traditions of always offering a good time to friend or stranger. Located off of Ranch Road 12 between San Marcos and Wimberley, Middleton is almost like a middle ground between the liveliness of San Marcos and the Texas State University students and the quaint and character-driven people of Wimberley. Middleton is committed to bringing people together over a good beer, and they host several gatherings throughout the week that include music, food, and more. We recommend looking into the Party on the Patio (Saturday, November 18th) and the 4th Annual MBTX Friendsgiving (Wednesday, November 22). Located in the heart of New Braunfels is Faust Brewing Company - an addition and revitalization of one of the longest-standing buildings in town. Faust borrows the iconic last call phrase and adds its own little spin, “You don’t have to go home, you can stay here!” because Faust is also a newly redesigned 1920s style hotel. It leans into the German heritage of the town and only makes you want to pray for Wurstfest to get here faster each time you visit. A warm atmosphere and a great menu should keep you here all night. Faust is hosting a Thanksgiving Feast on Wednesday, November 23rd from 11am-6pm for folks who want all the fixings of a true Thanksgiving meal without having to cook. Reservations are required, so check the website for more information. Boerne Brewery ’s focus is to make sure that they produce a beer that the Hill Country people can be proud of. Without a community-focused mindset, this brewery can play an active role in local events and affairs, offering a place for friends to enjoy the weekend with a brew. This is the perfect place for all the readers who live in the South Hill Country area and want an authentic place to try out some amazing craft beers. It was a difficult decision for us to narrow down a list of only five breweries in the area, so we decided to make a list of some of our other favorites we wished made the list. See you in the tap room! Live Oak Brewing (Austin), Hops and Grain (Austin), Last Stand Brewing Company (Austin), Twisted X Brewing (Dripping Springs), Ranger Creek (San Antonio), and for those of you who are willing to make the drive to one of the most iconic breweries in the state of Texas, Shiner’s Spoetzl Brewery (Shiner). Happy weekend and please drink responsibly!